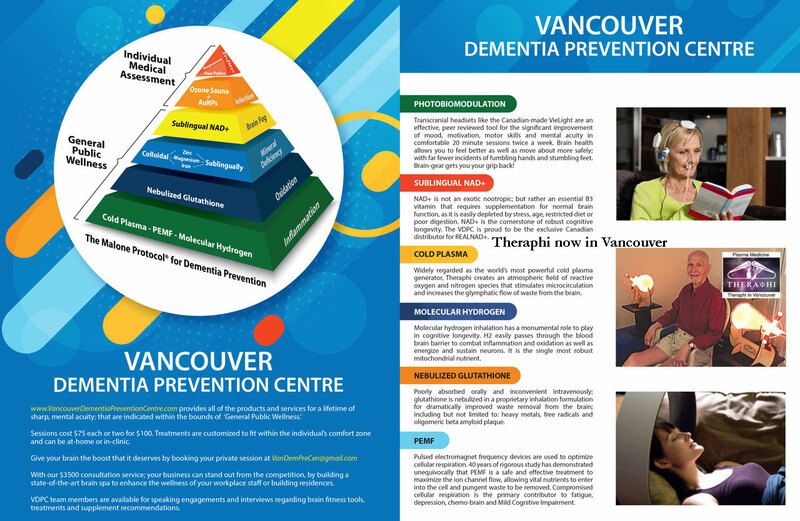 Theraphi and Cold Plasma- at Vancouver Dementia Prevention Center: “ Widely regarded as the world’s most powerful cold plasma generator, Theraphi creates an atmospheric field of reactive oxygen and nitrogen species that stimulates microcirculation and increases the lymphatic flow of waste from the brain”. To the list of Theraphi Centres. – While we primarily use the cold plasma energy for glymphatic drainage to combat mild cognitive impairment; the recent rise of the drug-resistant fungus Candida Auris, is a compelling use case. https://www.ncbi.nlm.nih.gov/m/pubmed/25369659/ “[Inactivation of Candida species using cold atmospheric plasma on the way to a new method of eradication of superficial fungal infections]. I hope you’re well; things here in Vancouver are great, Theraphi works great and I can’t thank you and Paul enough for bringing her into my life.